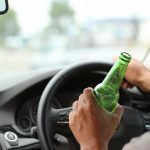 Drink driving offences are some of the most common traffic offences in NSW. If you are convicted of a drink driving offence, you face a range of penalties, including a fine, disqualification from driving, and even a prison sentence in some situations, depending on your blood alcohol reading and whether you have any previous drink driving convictions. Other common, less severe penalties for drink driving include good behaviour bonds, and community service. How do I get a good behaviour bond? An experienced traffic lawyer may be able to help you get a good behaviour bond or community service, particularly if it is your first offence. According to the NSW Judicial Commission, a good behaviour bond is the second most common penalty for high range drink driving offences. In order to get a good behaviour bond, it will help if you can demonstrate a clean driving record, and no previous criminal convictions. Providing character references can also help, along with demonstrating that you are taking measures to address any underlying issues that may have contributed to the drink driving offence. 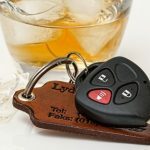 Your traffic lawyer can help guide you, and advise you of your chances of getting a good behaviour bond for your drink driving offence. If you get a good behaviour bond for drinking and driving, you will be required to abide by certain conditions imposed by the magistrate. 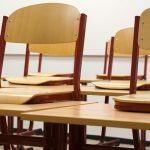 The conditions can include participation in an approved alcohol rehabilitation program, or mandatory attendance at a traffic offender’s course. Other common restrictions of a good behaviour bond include making regular court appearances, and supervision from a parole officer. While you are on a good behaviour bond, you will be required to notify the court of your residential address, and update your details if you move. It is important to ensure that your details are up to date at all times, as failing to provide the correct address can be seen by the court as a breach of the terms of your bond. What happens if I break the terms of my good behaviour bond? 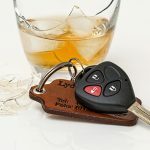 When you have been sentenced to a good behaviour bond for drinking and driving, it is important that you abide by the terms set out by the court. Failing to do so can lead to further penalties and the bond being revoked. If your good behaviour bond is revoked, the court may issue you with a harsher penalty. The court is required to give you an explanation of the terms of your good behaviour bond and the potential consequences if you breach it. Once your bond is entered at the court office, you will be provided with a more detailed explanation. Make sure you understand what you are required to do so that you don’t end up with further legal problems as a result of breaking the terms of your good behaviour bond. A good behaviour bond generally lasts for a period of up to five years, depending whether it is provided under Section 9 or section 10 dismissal or conditional release order. A good behaviour bond given under a non conviction order can only last for a maximum of two years and is not a criminal conviction, while a Section 9 bond can last up to five years and comes with a criminal conviction. You will be required to comply with the terms of a good behaviour bond for its duration. 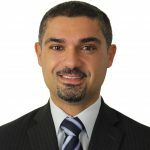 What Are The Penalties For Driving While Suspended in NSW?